The Grand Opening for the NEW PHHacility will be held this weekend for (3) days, as the new basketball gymnasium will be officially unveiled to the Arizona public. 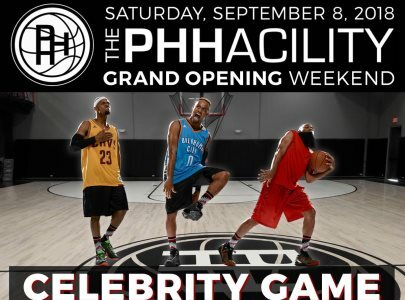 The Grand Opening will include numerous events throughout the weekend, including a Celebrity All-Star Game, a dunk contest, 3-point shootout, a 3-on-3 tournament and a Frosh/Soph Camp organized by Area Codes Basketball. Arizona Preps will be on hand throughout the weekend to bring you coverage of this weekend's exciting event, which will begin Saturday from 4PM to 9PM.